Via the Barnes & Noble Sci Fi & Fantasy Blog, Angry Robot Books and Kameron Hurley revealed the cover art for Empire Ascendant, the sequel to 2014’s The Mirror Empire, and one of my most anticipated novels of the year. As is typical for Angry Robot and artist Richard Anderson (responsible for many great recent covers, including “The Builders” by Daniel Polansky, The Last Mortal Bond by Brian Staveley, and Time Salvager by Wesley Chu), it’s absolutely gorgeous. “[I wanted] to contrast the massive, cold, army invading, with the calmness and strength of the two main characters at the table,” Anderson added. 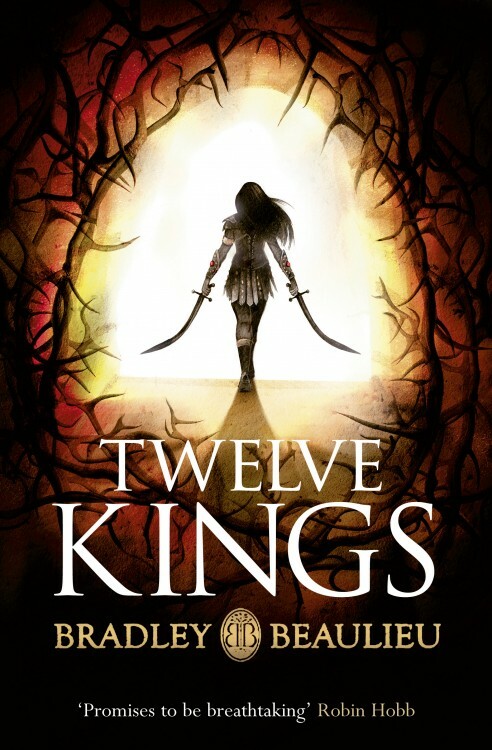 The Mirror Empire was one of my favourite novels of 2014, and, no pressure, I expect the sequel to continue Hurley’s trend of pushing the boundaries of epic fantasy. 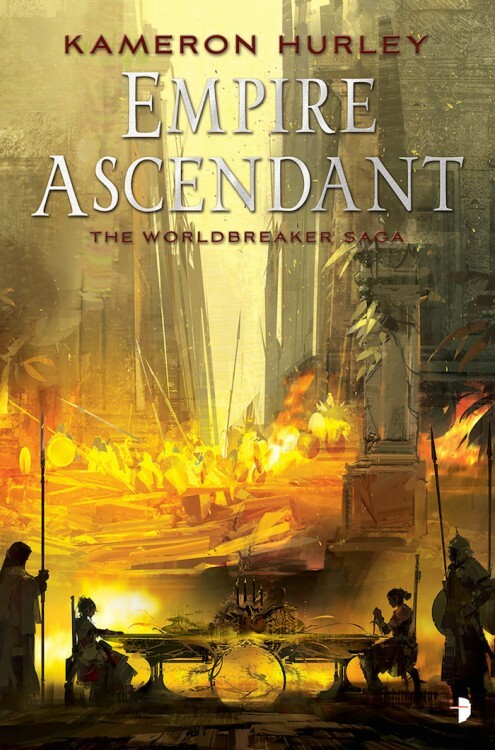 Empire Ascendant will hit shelves on October 6, 2015 and is available now for pre-order. 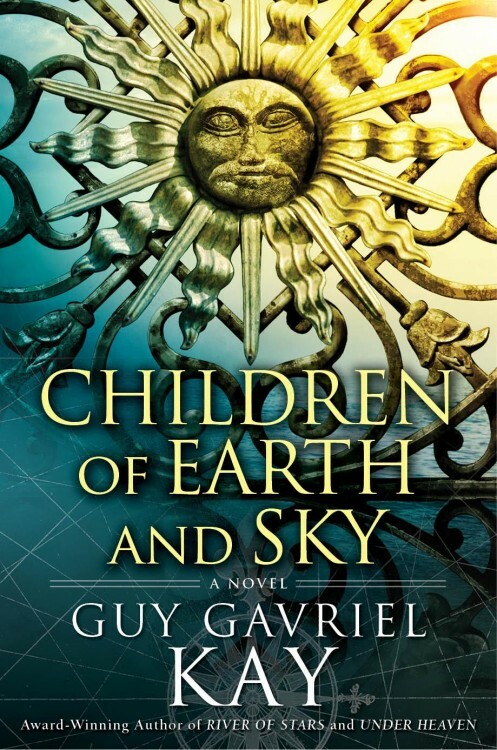 Yesterday, via CBC Books, Guy Gavriel Kay revealed new details about his upcoming novel, The Children of Earth and Sky, including its setting. 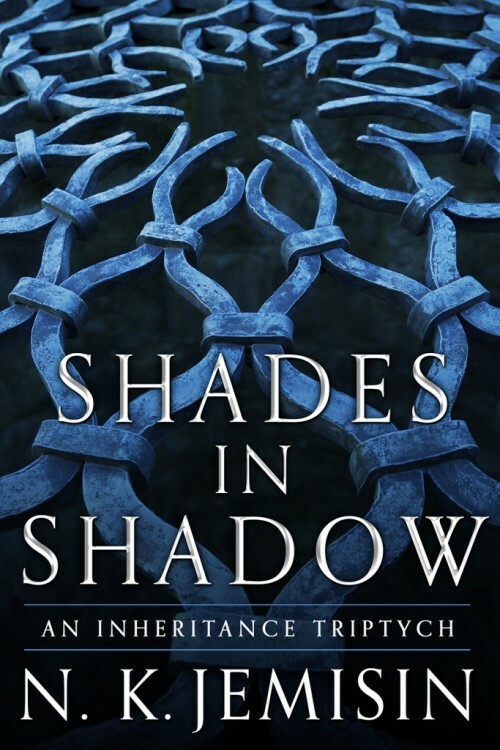 Kay has a penchant to explore human history while building his fantasy worlds, delving deep into our planets’ myriad cultures and histories, and turning the stories we know slightly towards the fantastic. Fans always have fun speculating, so where’s The Children of Earth and Sky drawing inspiration from? The Mediterranean regions of Europe during the Renaissance. I adore this cover. For being bold, and putting focus on what makes the character interesting (his wings), rather than trying to create a clear image of the character himself. Lovely, simple typography (including the stylized R), and Arnold’s soft, impressionistic style are perfect for bringing together a cover you just can’t ignore. “Skyborn is about the Seraphim, an elite military force protecting a floating island of Weshern,” said Kirk Benshoff, Art Director at Orbit Books. “The Seraphim guard the remnants of mankind, defying gravity using ancient wings and mastering powerful elements to wage war in the skies.” Starring militarized sword-wielding soldiers with huge metal wings, Skyborn begs for a cover that shows off Daglish’s unique denizens of Weshern. Artist Tommy Arnold was the perfect fit, says Benshoff. This book just landed pretty high atop my fall “to-read” pile. 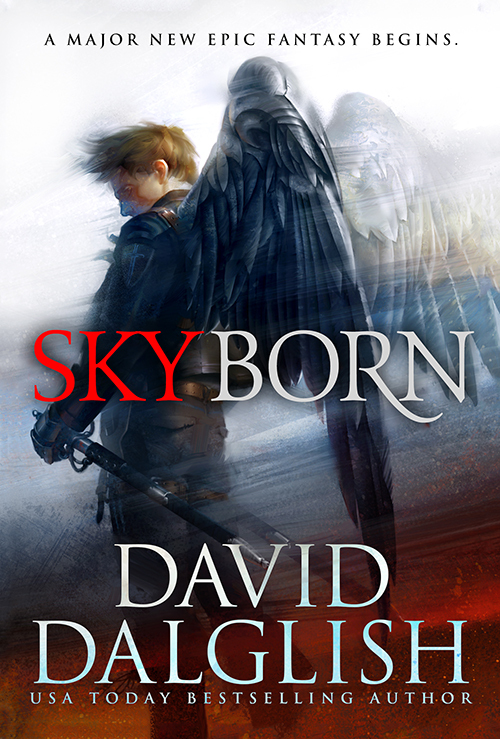 Skyborn will be released by Orbit Books in November, 2015.